I teach sonic arts alongside Arduino and Max/MSP at City Lit. Formats range from single taster sessions to 5 and 10 week courses, usually culminating in recorded projects and/or performances. Sonic art might be described as the creative use of sound beyond the boundaries of music. This course is intended as an introduction to some key areas in this broad and exciting field, through a mixture of practical and theoretical exploration. This year we will follow on from an introduction to Arduino, and the focus will be on making interactive installations and instruments. 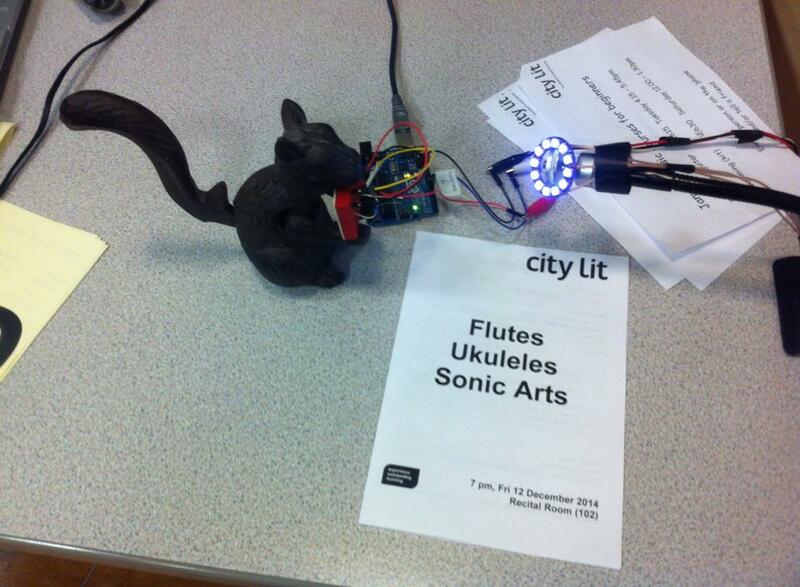 The following video is based on a performance from our end of year presentation at City Lit. This summer we ran a few sessions based on some of the most popular aspects of our longer sonic arts courses. 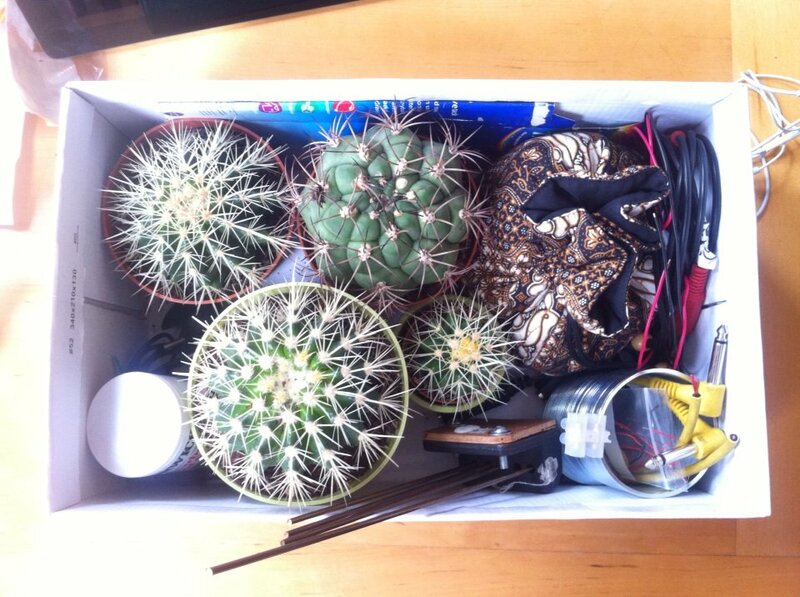 This led to a lot of fun with contact microphones and cacti, inspired by the work of John Cage and others.